The World Health Organisation (WHO) reports that there have been more cases and deaths in this outbreak than all others combined. Ebola has also spread between countries starting in Guinea then spreading across land borders to Sierra Leone and Liberia, by air (one traveller only) to Nigeria, and by land (one traveller) to Senegal. The UN recently opened a new headquarters in Ghana to co-ordinate international aid in the fight against Ebola. 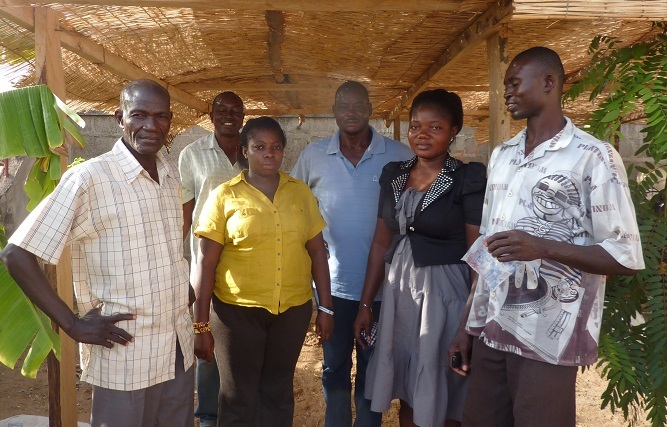 We asked our Ghanaian partner, the Community Self Reliance Centre (CSRC) in Bolgatanga in the north of the country, how they are responding to fears that Ebola could spiral out of control. “At CSRC we have been very concerned about the Ebola virus and the risk our country is facing. Ghana is the Ebola Response Centre for the sub-region. However, our President has not asked for a national debate or allowed for adequate education on what measures we need to put in place to minimise the risk in Ghana, which was agreed at a recent UN General Assembly. Our Ghanaian borders are so porous and our healthcare rather poor and ill-equipped. There was talk for Ghana to be the alternative host country for the African Nations Cup – the main international football competition in Africa – but this was strongly resisted by civil society and other organisations. What we are doing in our own small way at CSRC is to provide some education in various forms to people, explaining what we need to do to minimise the risk of getting infected. The Ghana Health Service is distributing flyers and we have requested more from the Regional Health Directorate to enable us to distribute these information leaflets ourselves during our educational talks. We are advising communities with access to radio and television about the importance of tuning into educational programmes and we are providing them with the times these special programmes are aired. To help support African Initiatives’ projects in Ghana, please click here. To read more about our work in Ghana, including what the CSRC does in detail, click here.